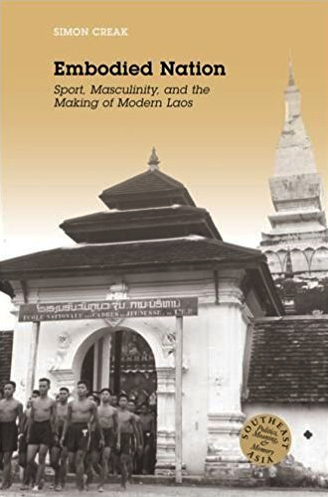 The entire first chapter is rather lengthy in its discussion about the Lao sport of tikhi. A Lao game which looks very much like a precursor to hockey played on a field rather than ice. I found the later chapters to be much more interesting though. It's interesting to learn how whichever powers that existed at the time in the country, that they attempted to use sport to change behaviour, develop pride in one's nation, teach ideology, shape an image of masculinity, promote service to the nation, and so fourth. More than anything else, it's a fascinating read on how politicized sports can be and how it can feed into issues of race and nationhood. In particular, some of the interesting tidbits in this book are the historical sports related stories that are sprinkled throughout and of course the discussions on major sports events that have occurred in Laos. The story of the Bedier Cup in 1936 and subsequent controversy between Lao and Vietnamese teams. The Games of the New Emerging Forces (GANEFO) and the politics involved at the time. Like how the Lao team was called Pathet Lao which politically referred to the Lao communists but here it was being used to describe all Lao athletes. Something that the Royal Lao government at the time did not agree with. Laos' first appearance at the Olympic games in 1980. Laos' first National Games in 1985 and how the divisions were done in zones rather than provinces. First SEA Games in Laos in 2009. Female representation, albeit limited, is an issue that is addressed in this book as well. Even the posters, pictures and drawings from earlier periods that relate to sport and propaganda are interesting to see. If any of what I've written here interests you, then I highly recommend you get a copy for yourself. Additionally, for your reference the complete and lengthy table of contents is shown below, for those who might be interested.